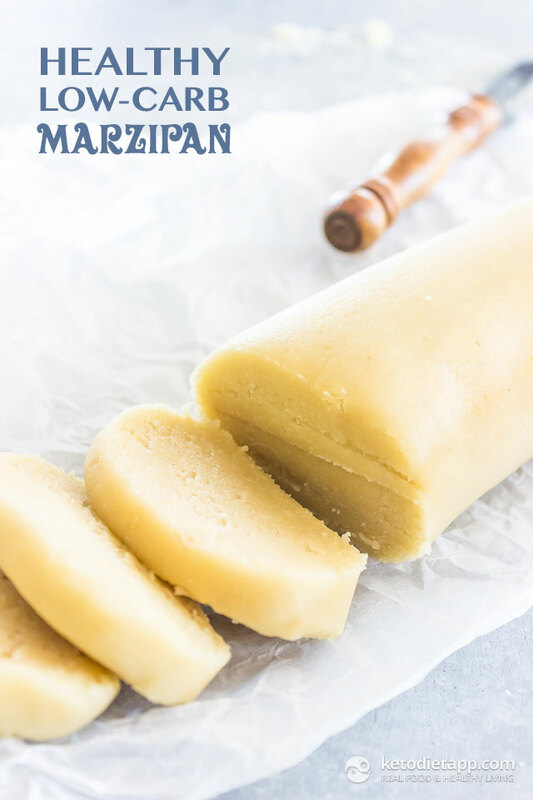 Marzipan is one of my favorite desserts, this healthy low-carb and keto marzipan is great for dipping into chocolate or decorating desserts! 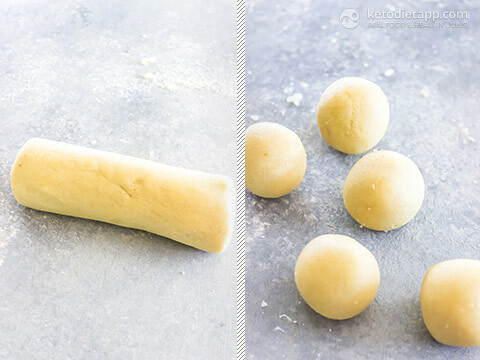 The dough is perfectly pliable and can be rolled into any shape. In a large mixing bowl sift together the almond flour and Swerve. 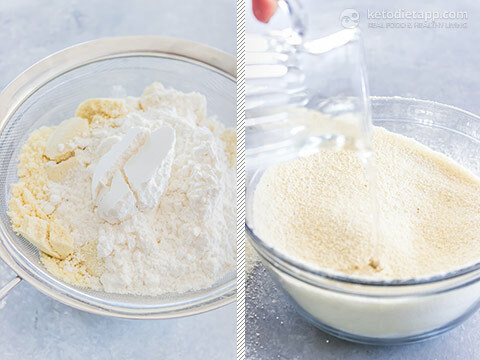 Pour in the almond extract and water and knead to form a ball of dough. Roll the dough into a log or into balls whichever you prefer or depending on how you plan to use it. I think here we simply need to take a step back and ask ourselves how far should we go when it comes to natural/primal foods. I think it's easy to assume that anything that is not "natural" is bad for us but there are many "natural" foods that are deadly to humans while other "artificial" ones (including medication) can save lives. 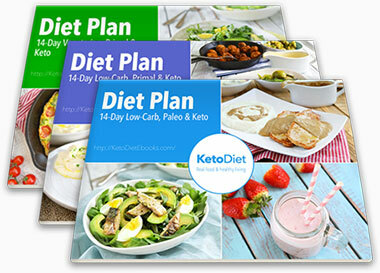 How primal/natural are foods we are consuming these days anyway? 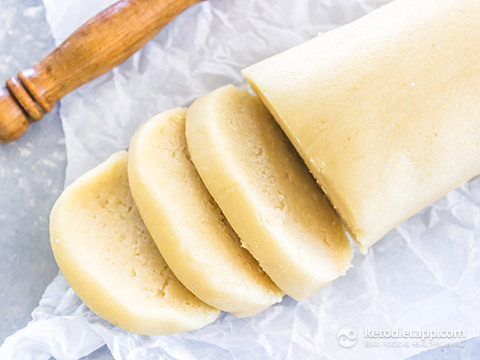 I've been making keto marzipan for for more than a year - my recipe is pretty similar (I use egg white instead of water) but I always add a dash of rose water, it adds amazing flavor and smells fantastic. I've seen a few recipes with eggs or egg whites and wonder whether it may be easier to roll and use as cake decoration. Rose water sounds amazing! Tastes pretty close to traditional marzipan! I added a bit more almond flour - probably just a humidity thing, but very easy to shape. Now I'll have to think of a use - maybe form into fruit shapes and paint with some food coloring, like the fancy candies! Sounds great to me!  I'd roll them into truffles, refrigerate and then coat in extra dark chocolate.